Prior to Saturday, I was all about Flickr. 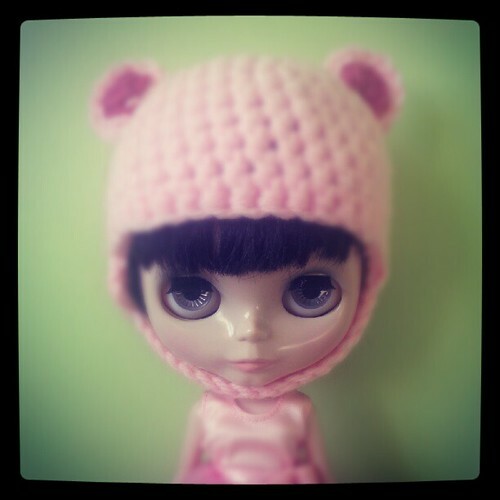 For sharing photos, Flickr remains a major site for Blythe fans to take part in to upload photos, see photos of other Blythes and to engage into doll-related groups and photo challenges. Despite the fact that some doll fans have had issues with Flickr cracking down on their rules (and, to be fair, it’s always been a part of the rules to not sell [so obviously] on Flickr! ), the photo sharing site remains big. And then Saturday happened. I got my very first smartphone and (!) then came Instagram. I do understand that Instagram is not a replacement for Flickr and it doesn’t all the great features that come with having groups; it’s still pretty nifty. One of the features of Instagram that I quite like is the filters. It’s a nice, easy, painless and relatively quick way to edit your photos on the go. Plus it can be linked to other social media sites like Flickr, Twitter and Facebook to make photo sharing easier. And while I’ve enjoyed Instagram, especially on Sunday when photos from BlytheCon were being uploaded from people with smartphones available, it’s still not a replacement for Flickr (or Photoshop); but it’s a very neat alternative! Flickr still remains by and large my favourite photo sharing website, because it’s a lot more than just a site where you go and put up photos and look at photos uploaded by others. It does have a real community feeling to it and I feel that’s one of the reasons why a lot of Blythe hobbyists do have Flickr accounts and are willing to pay for a Pro account. What’s your favourite photo sharing site? Is it Flickr? What makes it your go-to site? QOTW: Have you (succesfully) migrated from Flickr? But I really love that Instagram is always with me, lol! I have been using http://pixlr.com/o-matic/ on my smart phone to add effects and upload to flickr for the past year or so… I don’t know if it is anything like instagram but it is a life saver with my 365! I use flickr for most things, since I can upload higher quality from my camera than I can to instagram using my phone. Instagram I look at as for more fleeting things, things that happen in the moment when I probably don’t have my camera handy (but I do have my phone). Flickr…because I don’t have a smart phone and have never used instagram. Haha.